Have you noticed a few changes at the Club? Here's welcoming The Nest. Now you can enjoy the Club all summer long too. 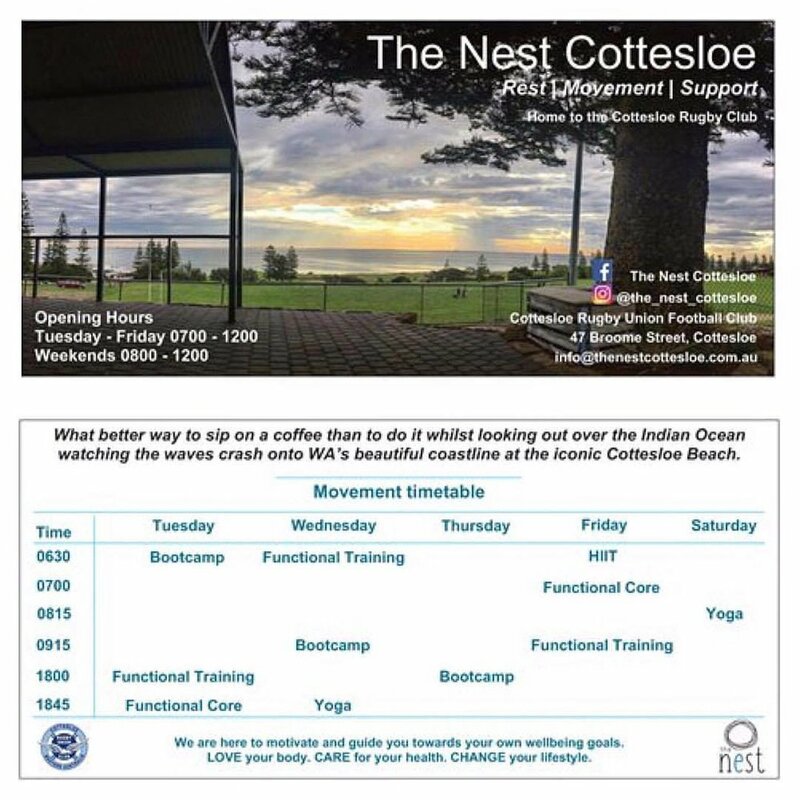 Coffees and fitness - what a cool concept. Come and join the new movement. The following timetable starts next week - Tuesday 18th September.